A major apparel retailer with a distribution center located in Riverside, CA was looking to convert a portion of their warehouse space into an online fulfillment center. They needed a lighting system for their new three-story pick module that would achieve proper light levels and meet CA Title 24 requirements. FSC provided design, photometrics, product recommendation and an engineered lighting solution that would achieve performance levels, while simultaneously saving energy costs by more than 40% over a fluorescent option. Our solution utilized a mix of energy efficient LED’s and smart occupancy sensors that would turn the lights off when the aisles were unoccupied. In addition to energy savings, the retailer projects low maintenance costs in comparison to fluorescent fixtures, which have a shorter life expectancy; LED fixtures require little to no maintenance and can operate for more than 120,000 hours. After the installation was complete, the average foot candle reading in the facility exceeded the customer’s requirements and matched the photometric layout. Intelligent Lighting Controls: One on/off sensor per row reduced overall project cost. 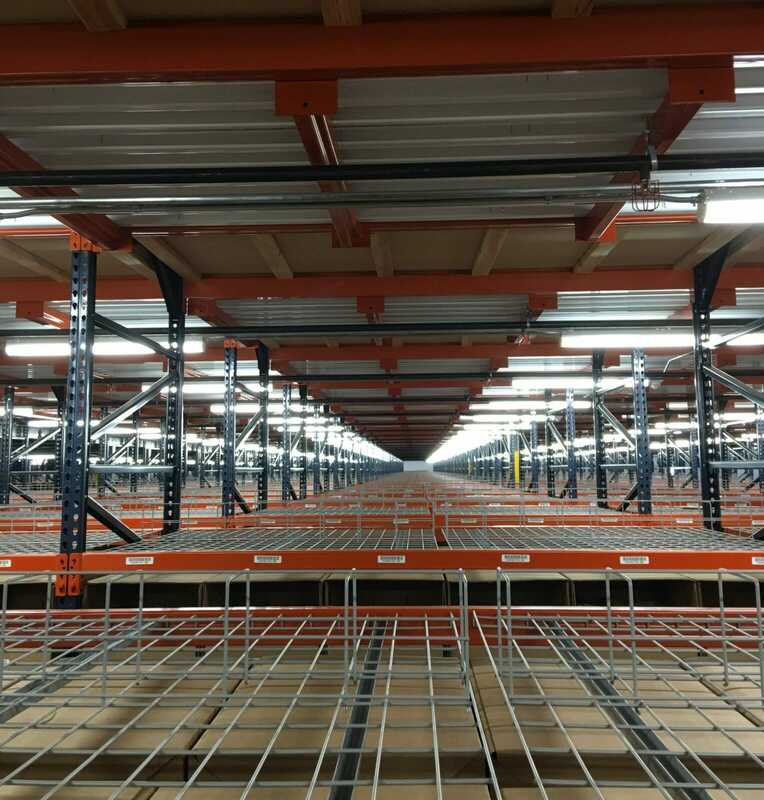 By grouping luminaires, switches and sensors, the retailer was able to maximize sensors for occupancy detection, meaning lights are off in areas of the facility not in use. In addition, the photocell on the on/off sensors allow for the top-level fixtures to turn off when there is sufficient natural light from the building’s skylights.